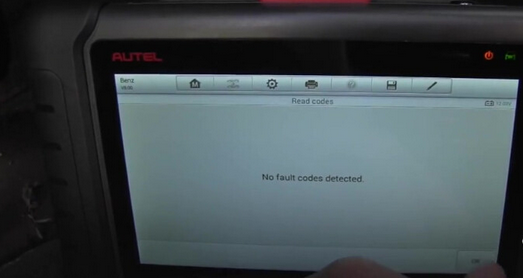 How to use 2017 Autel MaxiDAS DS808 diagnose Mercedes-Benz ? 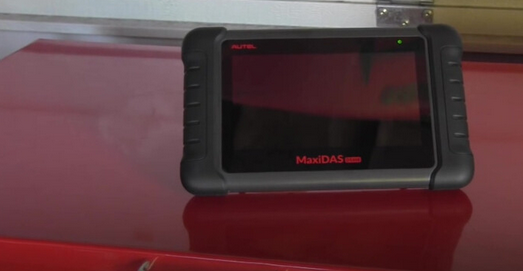 Let’s unpack and unbox the Autel MaxiDAS DS808 and see together what it will do out of box no registration, no update, no nothing. Press the power button at the top, and you can slide the lock button. 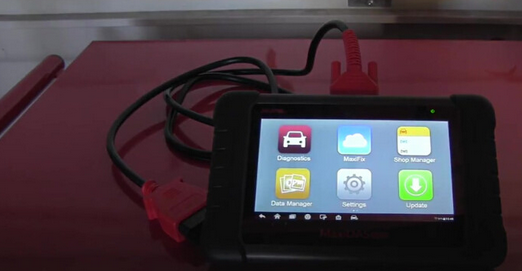 Both of my previous scanners one goes for 150 dollar and another one reaches 400 dollars are not able to access to the computer of airbags, so let’s see out of box without any updates and registration of this MaxiDas DS808 scanner can do for you. As you can see, a red warning SRS light and watch the information sent, and it’s the reason why I need to get back DS808 scanner and find out what is happening to the vehicle. 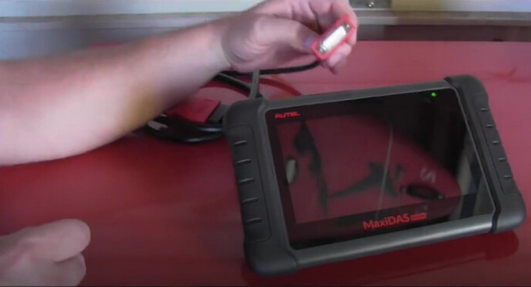 Here you are, the MaxiDAS DS808 scanner is connected to the OBDII port of vehicle and the ignition is on. 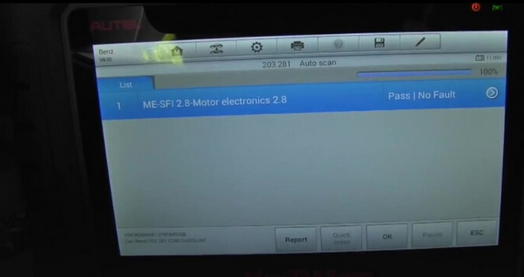 So let’s see what we can do, let’s go to diagnostic. 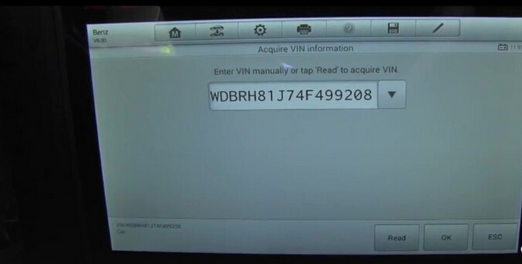 I don’t want to tap the VIN, so I will read it automatically. And here you are, it is really pretty fast, this is absolutely awesome. The new generation scan tool is super fast. 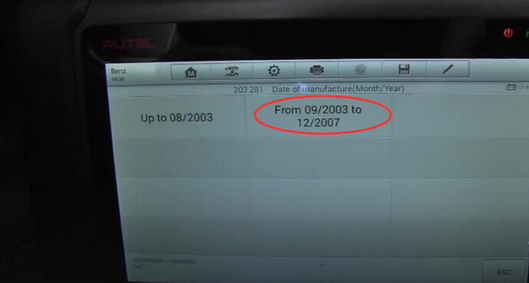 I know this Benz is 2004, so I will click “From 09/2003 to 12/2007. Confirm vehicle profile, let’s say yes. Yes “Diagnosis”, so you can see fast it goes. 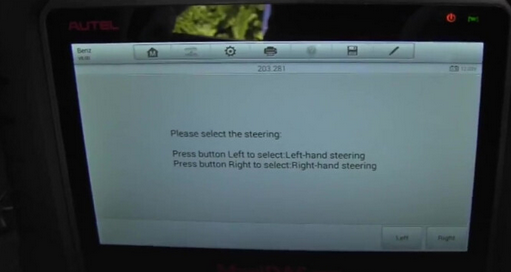 But I’m just confusing where is the airbag problem. 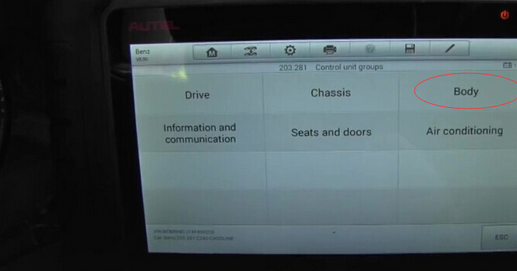 So let’s exit to “Diagnostic menu” and select “Control Unit”, and click on “Body” then “AB-airbag” all right. 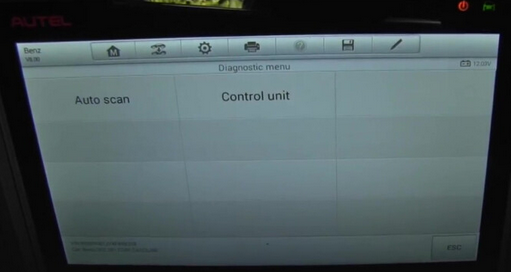 No communication between the tester and control unit. 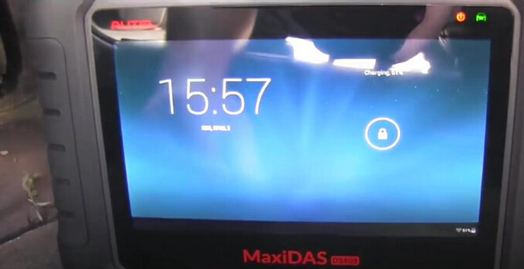 So, the reason is No register and No update MaxiDAS DS808 for Mercedes Benz , only after register that it will start working. Registering the device was easy, you simply go to autel’s website and set up an account. 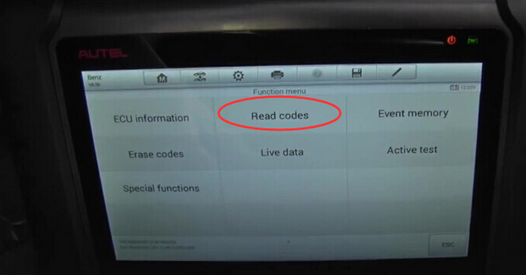 Once you do that you take the registration code/ passcode from the scan tool and register it on the website. 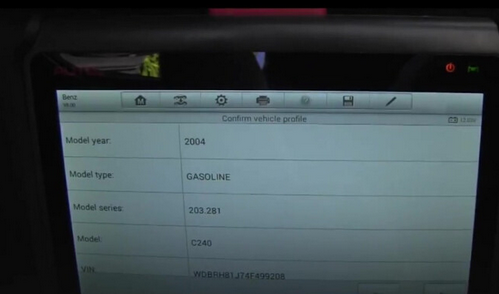 You then make sure that the scan tool is hooked up to your wifi which is setup in settings. Then you are ready to update the scan tool with the latest software.